Who doesn't love looking fabulous and being comfortable? Our Santa Fe Embroidered Top is the perfect top for a day out! Add some gold accessories like our Phoenix Opal Necklace and stack some of our Mara rings by California based jewelry company Five and Two. 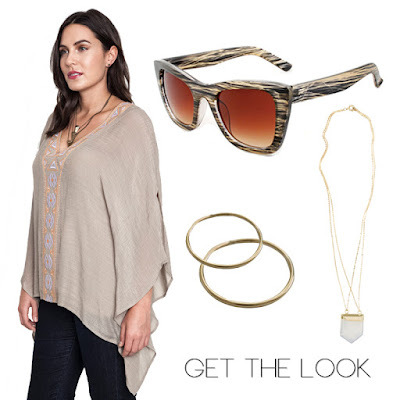 Complete the look with our Matira Beach sunglasses. Get the look aboard the pink mobile boutique or online through the links below!